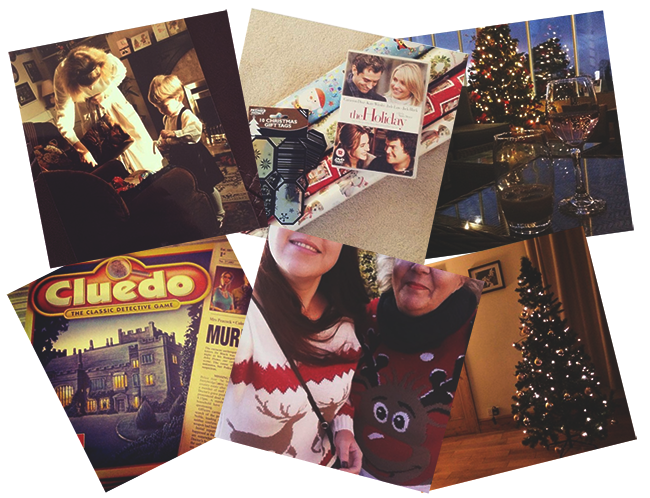 This post is in collaboration with Littlewoods and their #MakeTheirChristmas campaign. You can shop their Christmas range right here. My first memory of Christmas involves my chocolate advent; of course it would involve food wouldn’t it?! I would always have to wait until my Dad got home from work before I could have it and I remember it felt like I’d be waiting a million years. It was an absolute treat having that chocolate and my Mum still buys me and advent every year, although luckily I don’t have to wait until my Dad gets in from work anymore! As the family on my Dads side all live in London, we didn’t get to see them all that often so every Christmas my Nan and Granddad would come and spend the week with us. On Christmas Eve I’d write my letter to Santa and put it in the fire to watch the letters rise up the chimney, absolutely convinced I could see them move! Sure enough, about half an hour letter I’d get a letter through the letterbox from Santa saying he’d got my list and would try his best. You can only imagine as a little girl I was full of excitement and anticipation receiving my letter! It was a couple of years later I learned that it was my Nan who wrote that letter, of course it was, but it’s a memory I always hold close and makes me love and miss her even more. I hope that if I’m ever lucky enough to have children this is something my Mum would do too. I’ve been very lucky to have grown up in a kind and loving family and I’ve never wanted for anything. We’ve never had a lot of money, but I’ve never gone without and I was taught very much to appreciate what we have. Although we always do nice things for each other throughout the year, I always see Christmas as the time to give back to my parents. I always aim to get really thoughtful gifts and not just the latest beauty set from wherever, although of course Christmas would be complete without some smellies! But a couple of years ago I bought my Dad a football programme from an Arsenal match (he’s a diehard fan) for the month he was born. It wasn’t that expensive but I knew he would love it, and he did, he even cried. That’s what Christmas is all about, showing someone how much you love them. Luckily James understands how much I love Christmas and is happy to spend the day with my parents, although this year we’re actually staying over Christmas day night so I can have a couple of drinks with everyone! We have our little traditions like most families do I’m sure. We have breakfast first, then the presents are dished out (by me) and we go around opening them one by one. That way everyone can see what you get and can have a chat about it instead of all going in and it looking like wrapping paper carnage! Then lunch will be put on, we’ll eat early afternoon and then for the rest of the day we play games, watch films and have the typical Christmas Day nap. It doesn’t sound much but I love it and wouldn’t change it for the world. As much as I love Christmas, my family doesn't seem to be quite as into it as I am so we don't have any set traditions. We'll do the gift giving and maybe put up a small tree but that's about it. I liked reading about your experiences though!